Louisiana Pulmonary Disease Camp Incorporated (LPDCI) is a non-profit organization founded in 1976. A group of medical professionals, businesspeople, and community supporters came together to promote an appreciation of the plight of children with chronic and debilitating lung diseases, and to organize and fund activities for recreation for these children. The organization serves over 100 children per year including children with cystic fibrosis (a chronic debilitating disease of the lungs and digestive system), children who are ventilator assisted, children with severe and chronic asthma and many others. 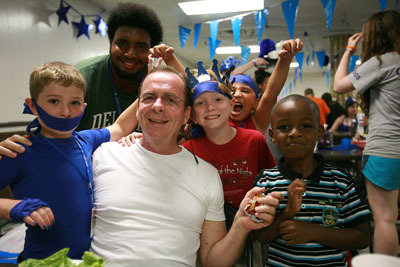 Some activities include a week-long summer camp program – Camp Pelican, family functions, annual picnics, and parties, as well as, special assistance to children and families. LPDCI is proud to offer these activities at no cost to the participants. Our first camping session, called Camp Sunshine, was held in 1978, in Lacombe, Louisiana and was attended by about 30 campers and staff. In 1985, due to a conflict with another local camp, our name changed to Camp Pelican. In 1986, we had our first ventilator assisted camper. In 1988, our camp program met the many standards of the American Camping Association and became an accredited camp. After using several facilities and many changes, we have found our home in Leesville, Louisiana at the Louisiana Lions Camp. In 1988, LPDCI joined with the Louisiana Lions League for Children, Inc. to provide the pulmonary session of Lions Camp. 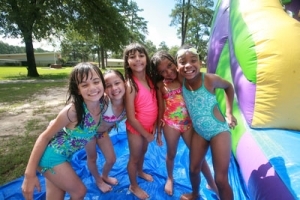 Louisiana Lions-LPDCI-Camp Pelican is a week long summer camp program with pulmonary disorders ages five to fifteen years. The program offers a wide variety of activities including swimming, sports, arts and crafts and many special events to entertain and educate these children. The camp is staffed by a volunteer force of professionals including physicians, nurses, respiratory therapists, child life specialists, educators and many others. In addition to the normal duties imposed on camp staff members, they must provide extensive medical and pulmonary care. The staff to camper ratio is approximately one to one. The entire staff is trained prior to each session. Campers are monitored daily in regards to their physical and emotional progress. The staff members help to facilitate meaningful interactions among campers to assist them with establishing a sense of security and personal identity within the camp setting. The generous contributions of our staff and sponsors has made it possible for deserving children to participate in a tremendous learning and growing experience – ones they will remember for the rest of their too short lives.